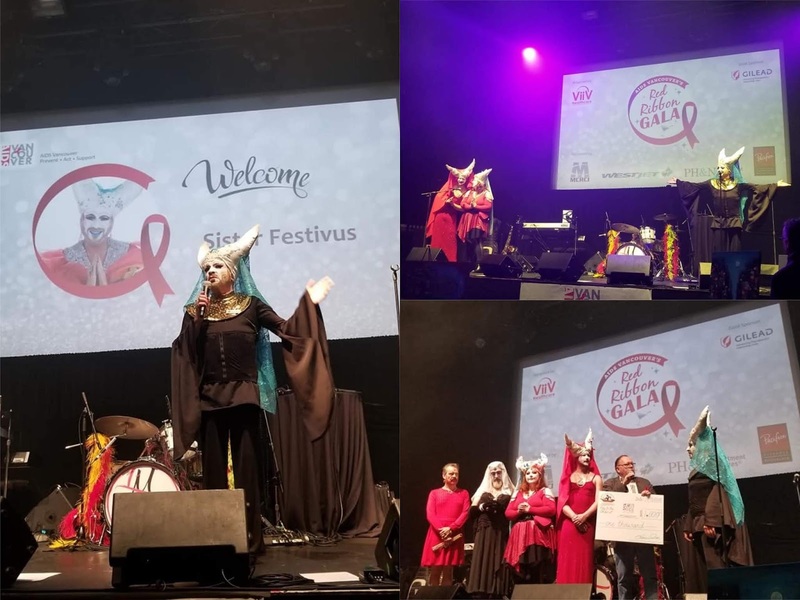 A wonderful evening of fun, entertainment and raising funds for services while celebrating the 35th year of service of AIDS Vancouver. Sister Festivus had the pleasure of sharing the stage with country artist Patrick Masse and hostess for the evening, the unstoppable Conni Smudge. The Sister's took the opportunity to gift AIDS Vancouver with $1,000 to assist in their Holiday Grocery where they provide festive groceries for up to 800 people in one day! Thank you to everyone who made this event so incredible. Thank you to all who gave with LOVE. Special thanks to Sr. Bodice Rippa, Sr. Koo-Koo Kachoo, Novice Sr. Polly A. Morris, Postulant Sr. Jon and Aspirant Sr. Roy for all their hard work throughout the evening. Access to computers and other control systems which might provide you with information about the way the world revolves around technology should be unlimited and total. All information should be free and accessible to all. That is why we at INTEGRATEDHACKS have come up with a team of highly motivated and dedicated hackers to help you get access to information you are being deprived of. Our services include and are not limited to hacking of social media accounts,email accounts, tracking of phones hacking of bank cards and many more.